Looking to buy a beautiful pulpit? The 8201 series pulpit with locking storage from Imperial is sure to catch your eye. Highly decorated with elegant accents and molding and also available completely stained. This wood pulpit is a gorgeous piece of craftsmanship. BUY THIS PULPIT ON SALE FOR $2095. CALL 419-469-6411 TO ORDER OR FOR MORE INFO. 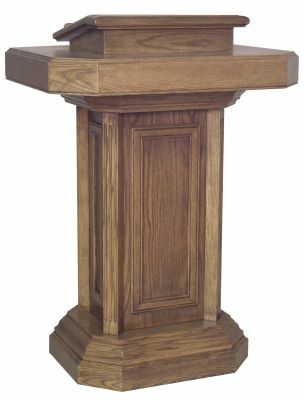 Pastor owned and operated, Church Furniture Partner understands the needs of Churches and is ready to provide the best lectern for your Church within your budget. 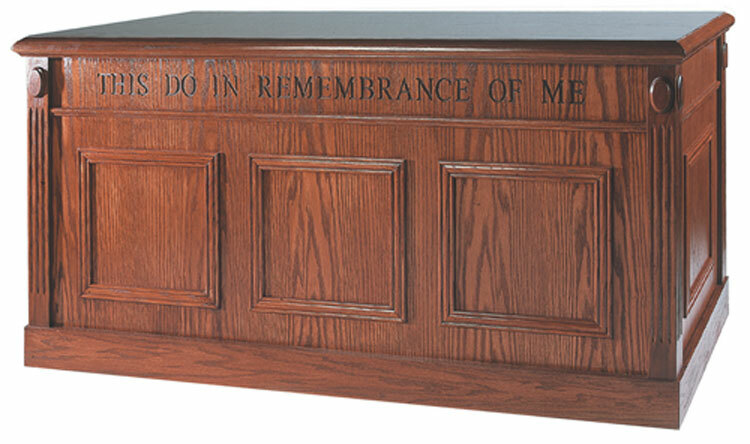 We sell both open and enclosed pulpits in both acrylic and wood. 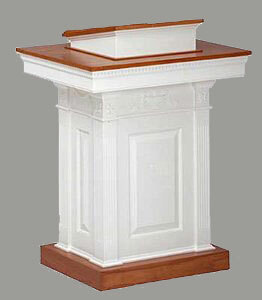 Contact us and we will work within your budget to find the best pulpit for your Church. Give us a call at 419-469-6411 or fill out the form below and one of our staff will contact you to assist with the furniture needs of your Church. Don’t worry, we do not use any high-pressured sales tactics. 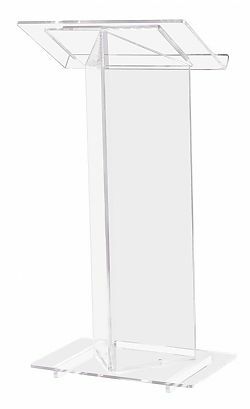 The 410 V-Style Acrylic Lectern from Oklahoma Sound (ELS-410)!